Begin by speaking to General Khazard in the vicinity east of the Rellekka House Portal. To begin this mini-quest, start off by heading to the Rellekka House Portal. The portal is located at the south entrance to the city, Rellekka. Head east and begin searching for General Khazard. General Khazard is not in one spot; he moves around. Below is a map that should give you an idea of where General Khazard is. The General is a ghost and does not show up on the mini-map. Make sure you wear all of the required items mentioned above. Once you find the General, speak with him. He will be surprised of the fact that you have the ability to speak with him. You will give him a short explanation of how and then you will offer your assistance to him. First, he will ask how you know him. Choose either option and continue the conversation. The General will consider you untrustworthy. Try and convince him you are trustworthy, but nothing will work. He cannot take your word on being a trustworthy person. The only person he will believe is Sin Seer. She is located in Seers' Village. Once you finish the conversation, head south to Seers' Village. Once you have entered Seers' Village, head to the building that contains the spinning wheel. The spinning wheel is located upstairs in the building north of the yew trees. Climb the ladder and head west into another room. There you will find Sin Seer. 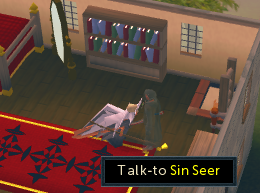 Sin Seer is not a ghost, so if you would like, you may speak with her without your Amulet of Ghostspeak and Ring of Visibility. Engage in a conversation with Sin. Explain that you want to prove to General Khazard that you are a trustworthy person. She will tell you that she cannot be bothered with this issue. You will have the options to "Plead" or "Bribe" her. Choose the "Bribe" option and pay her 40 coins. She will give a note, which you should take back to General Khazard. Head back north to the Fremennik Province. Head back to the region where General Khazard is located. Find him and speak with him. Give him the note and he will consider you a trustworthy person. Now that he trusts you, he will use you for an assignment. You are going to need to find the General's four scouts. 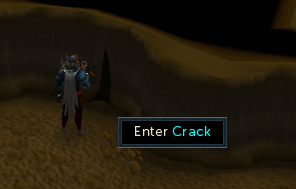 They are located in different parts of Runescape, which will be explained later. Your goal is to find them all and tell them that the planets are nearing alignment. Let's begin! Note: Every scout is moving. They do not stay in one dominant spot and wander up and down, left and right. The areas in which the scouts inhabit are shown below. 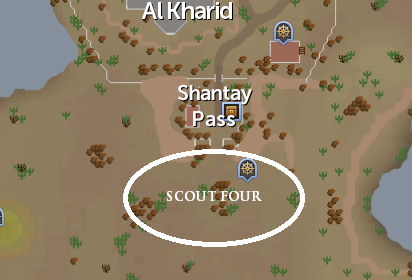 The maps give a generalization of where the scouts are. 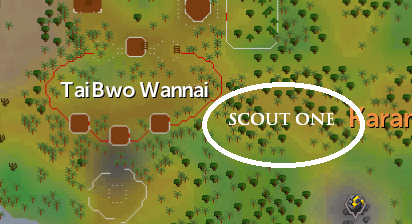 There have been other accounts that the scouts tend to wander farther or closer than what is showed on the maps. Be patient. If you cannot find a scout, position yourself in one spot and wait for the scout to appear. Make sure you wear full ghost robes, a ring of visibility, and an amulet of Ghostspeak. Although this guide indicates each scout with a number, you may speak with them in any order. The above map is where you can find the first scout. He is located near the village of Tai Bwo Wannai, on the island of Karamja. Head south of the Teak & Mahogany trees to find the scout. Simply speak with him and go though the conversation. Deliver the message the General told you to tell and move on to scout two. Make sure you fully complete the conversation. 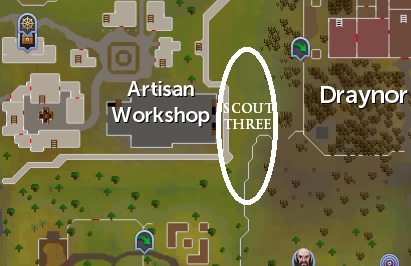 The next scout is located outside of the Tree Gnome Stronghold. Make your way to the stronghold and exit though the south doors. Head in a southwest direction and look for the scout. This scout moves around too, so check the area profoundly. Once you find him, enter conversation and discuss the planet's alignment. Once the conversation ends, begin looking for the third scout. Teleport or walk to Falador or Draynor. 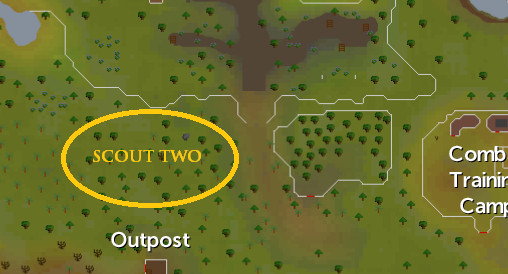 If you start in Falador, leave the city though the south exit and head east. If you start in Draynor, head west to the border wall of Misthalin and Asgarnia. Stay near the wall and follow it north. You should come to an area where the border wall ends. Around here is the third scout. Speak with him and deliver the message. Finish the conversation and find the fourth and final scout. The fourth scout is located south of the Shantay Pass. Gather up some food or a waterskin, then buy a Shantay Pass and go through the archway toward the rocks. You should be able to find him immediately. If not, head southwest and begin a search from west to east for him. This scout should not be difficult to find, as he tends to wander very close to the entrance archway of the Pass. Tell him the information General Khazard gave you. At the end of your conversation he will ask you to relay a message to General Khazard. Now that you have the message of the final scout, return to the Fremennik Province and seek out General Khazard. Deliver him the message and he will inform you of your reward. Your reward can be found in the Goblin Dungeon near the Fishing Guild. Before the conversation ends, the General will give you a severed leg. The leg is the key to your reward. Bank all items you do not need, and withdraw food, potions, and armor, as well as a weapon if you are not already equipped with one. Monkfish and Sharks are best to use for food, and a set of super Attack, Strength, and Defence potions are handy as well. Prayer does not work against the Bouncer, so Prayer potions are not needed. 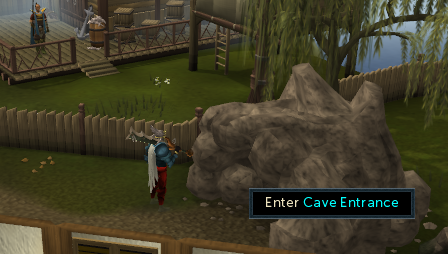 Head to the Goblin Cave just east of the Fishing Guild entrance. After entering it, head north and take the first passage east into a large cavern. Click on the crack and prepare for a fight. The Bouncer will not attack immediately, but will instead walk slowly toward you. You can get in a couple of ranged shots or magic blasts before he reaches you. It is preferable to use melee weapons. Eat whenever your Life Points drop below 350, as the Bouncer can hit up to 200, while also hitting in the mid-teens quite often. 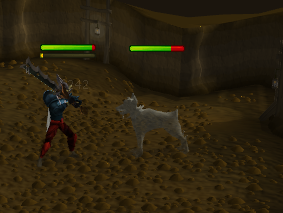 The best weapon to use to take a sizable chunk out of its Life Points bar is a Dragon Dagger, with any level of poison. After using up your Special Attack bar, switch to a stronger weapon if you wish. Once the Bouncer is down to 100 Life Points, you will enter a cut-scene. You will throw the severed leg you received from General Khazard toward the other side of the cave, and the Bouncer will run after it. While it's back is turned, you will perform a devastating attack and kill it. Congratulations! You have completed the mini-quest! The Shadow Sword is a transparent, ghostly sword that has stats similar to a Black Two-Handed Sword. It looks similar to the master sword of the console video game series, The Legend of Zelda. If you lose your Shadow Sword, head back to the cave where you fought the bouncer. A new, friendly ghost will be in the area. Speak with him and he will return your lost sword. You cannot see him or speak with him unless you are wearing the Ring of Visibility and Amulet of Ghostspeak.